OsendarpNutrition is a consultancy firm active (implementation) research, innovation projects and programs in international nutrition. OsendarpNutrition is a consultancy firm run by Saskia Osendarp, a nutrition scientist (PhD) with over 25 years of experience in international nutrition research, in both public and private sector and a proven track record in initiating, managing and completing international research collaborations, program evaluations, innovation projects with successful market launches, and public-private partnerships. Since 2012, she is active in independent consultant work on (implementation) research, innovation projects and programs in micronutrients and maternal and child nutrition. Clients include the Micronutrient Forum, Nutrition International, Global Alliance for Improved Nutrition (GAIN), the WorldBank, Child Investment Fund Foundation (CIFF), Sackler Institute for Nutrition Sciences at the New York Academy of Sciences, the Bill and Melinda Gates Foundation (BMGF), Unilever and GlaxoSmithKline Ltd India. For more information, please visit our website or twitter. 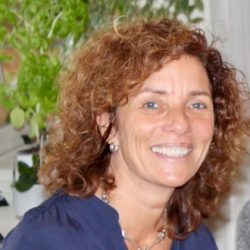 Saskia Osendarp is an international nutrition scientist with a PhD in micronutrient research, and more than 25 years of experience in international nutrition research, in both public as well as private sector. She has a proven track record in initiating, managing and completing international research collaborations, impact evaluations, innovation projects with successful market launches, and public-private partnerships, all in the area of micronutrients, fortification, child nutrition and development. She is a visiting associate professor micronutrients and international health at Wageningen University, author or co-author on more than 50 peer-reviewed publications and book chapters and is regularly asked as speaker or chair-person at international nutrition conferences or as a member of expert and scientific advisory boards.